The foreign investors continuous sell-off, widening fiscal deficit spurred by higher oil prices and weakening Indian currency had briefly pulled down local equities below the 34,000 mark on the Bombay Stock Exchange (BSE). Further, the S&P BSE 150 mid cap index has declined by 16 per cent from its all-time high in January 2018. The fall of the S&P BSE 250 small cap index has been more severe, shedding 26 per cent as on November 16, 2018, from its historic high. With the upcoming state elections and General Elections, the market is expected to remain choppier. And as they are a reflection of the current worsening macro-economic conditions, it is difficult to guess where the bottom would be. Under such a phenomenon, it is suggested that the investors should diversify their investment portfolio to cover up the risk associated with the fluctuating economy. They can spread out their portfolio through geographical diversification rather than sticking to conventional asset classes like domestic equities, debt, commodities. In the last few years, the awareness about global companies and stocks have increased quite significantly. Sachin Shah, Fund Manager and Head, Emkay Global Financial Services, informed, “In the digital age, Indians are using US-based products and services like Apple, Google, Facebook and Amazon. Therefore, a lot of investors are keen to invest in such companies.” Currently, under RBI’s Liberalized Remittance Scheme (LRS), individuals can invest upto $2,50,000 abroad annually with minimum paperwork. “Under the LRS, capital account transactions permit resident individuals to acquire shares of both listed and unlisted overseas companies or debt instruments, investment in units of mutual funds/Exchange Traded Funds (ETFs), venture capital funds and promissory notes,” said Deepak Jasani, Head, Retail Research, HDFC Securities. As per RBI, the limit of $2,50,000 per financial year (FY) includes remittances for current account transactions (viz. private visit; gift/donation; going abroad on employment; emigration; maintenance of close relatives abroad; business trip; medical treatment abroad; studies abroad) available to resident individuals. In the last few years, a few high net-worth individual (HNI) families have invested in foreign equities under the RBI scheme. “Some of the large HNI families/family offices have built really large investment portfolios (more than $100 million + to $two billion+) in the last few years and they are really looking to invest across multiple asset classes and multiple geographies to diversify their portfolio concentration from just one country,” pointed out Shah. There are various ways for investors to diversify their portfolio in the global markets. An investor can buy Indian mutual funds that invest in stocks listed on exchanges outside India also known as International or global funds. 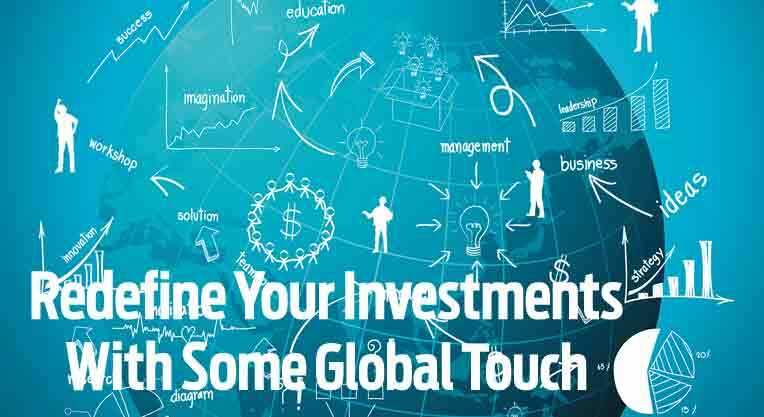 As per Morningstar research, there are presently around 34 mutual funds invested in global equities including the US, Europe, emerging markets, global equities, and others, with some of them feeding into the global funds and rest investing directly in several global equities. Some of these funds invest in foreign mutual funds normally floated by a common parent. (See the table: Global Funds returns). “Indian funds like the ICICI US Blue chip Fund and the Franklin Templeton US Feeder Fund have delivered excellent returns last year, with the former returning 23.9 per cent and the latter returning 21.7 per cent. These are exceptional returns caused by twin benefits - rally in the US markets and rupee depreciation,” said Vijayakumar, Chief Investment Strategist, Geojit Financial Services. Investors can also buy ETFs available in India or ETFs investing in stocks listed on foreign stock exchanges. Also, one can also buy direct equity listed on foreign stock exchanges through international broking firms. However, by investing in direct foreign equities, the investor will have to forgo the tax benefits that one gets in domestic equity investments. “Dividend and long-term capital gains (LTCG) are taxed in the US, while dividends upto `10 lakh and LTCGs upto `one lakh are tax-exempt in India. Also, the charges are higher in the US. A better option would be to invest through mutual funds investing in the US stocks.” said Vijayakumar. Investing in equities carries the same risk worldover, but when dealing in foreign investments, investors need to be more careful about risks related to the economy, polity, and prevailing tax laws of that particular country. Further, since the investments are done in the base currency of a foreign land, investors carry currency risk in their portfolio. “If the rupee appreciates vis-à-vis the dollar, the returns from the scheme will be adversely affected and vice-versa. The present situation of depreciation in the Indian Rupee versus the US dollar has helped global funds perform well; however, one does not know when this tide will stop or reverse,” Jasani further explained. Despite the global presence of US companies, impact of local economic factors cannot be overlooked completely. There is a possibility of a sharp correction in the US markets. This is a real risk. “An economic downturn in the US will impact the US markets since the present valuations are very high,” Vijayakumar further commented. If the investors have proper knowledge about the opportunities available in the international markets, have a long-term investment horizon and want to benefit from global diversification, then one should consider investing offshore. It provides a hedge against the Indian portfolio. “In a country like India, (with rupee depreciation concerns and other volatile economic parameters) an investor could look at having 10 -15 per cent of the total portfolio allocated towards foreign investments. Such investments would stabilise the overall portfolio returns when the Indian markets are overheated,” said Jasani. Also, it is advisable to spread your investments across board rather than considering a lump sum investment. “At the current juncture, it would be advisable to probably stagger investments into international equities, given that the rupee has depreciated significantly and due to the high valuations prevailing in several global equity markets, particularly in the US. Lump sum investments can be avoided at this time,” said Dhaval Kapadia, Director, Portfolio Specialist, Morningstar Investment Advisor India. At one end, RBI’s LRS initiative has made investors more laissez-faire to invest in the foreign markets and on the other, advancement in technology with instant information and active support from foreign collaborating brokers have made investors sure and secure. Further, the recent correction in the domestic equities with increased volatility substantiates the need for including international equities in a portfolio. For the investors, combining various assets with low-correlation will only reduce risk and thus improve risk-reward trade-off.